If you or a close loved one is a frequent traveler with many points or miles that have racked up over time, depending on the airline, you may or may not get to inherit those miles or pass them along to a family member upon death. This matters since a member's account that has amassed a lot of frequent flyer miles may be valued at thousands of dollars. Most airlines have a written policy of miles or points becoming nullified after the death of the member. In some cases, loved ones have made a request for the miles to be transferred. And, in other cases, the airlines suggest leaving your family members your login information so they can access your accounts. 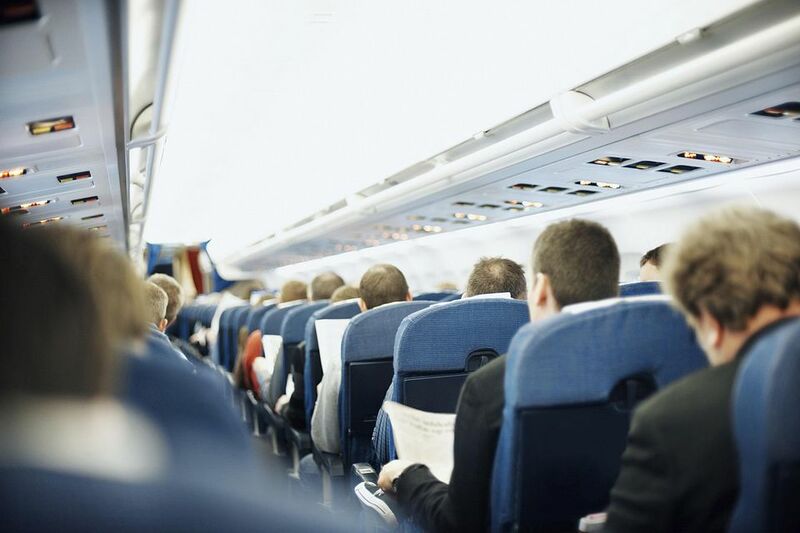 A lawyer may include a clause in your will that states that you bequeath your frequent flyer miles or points to a certain person, but that only holds water if the airline policy allows it. In most cases, putting a clause in your will can't hurt. It just might not work, depending on the airline. American Airlines, Delta Air Lines, JetBlue, Southwest Airlines, and United Airlines all have policies clearly stating frequent flyer miles are not transferable upon death. However, you may get lucky with American, United, or Southwest. American and United state in their policies that at their "sole discretion" airline points/mileage may be transferred to "court-approved" or "authorized persons." Southwest doesn't state it anywhere, but there have been cases where points/mileage were transferred. With Delta, there is no wiggle room at all. It stays strict with the policy. JetBlue may not transfer points or mileage but the airline does make the inheritance of mileage easier with its Family Pooling service. If you are a family unit, turn on the "family pooling" feature. If a member of the family dies or leaves for any reason, the frequent flyer points stay in the pool and can be used by the family. Informally, Alaska Airlines refers to frequently flyer miles of a deceased loved one as "memorial miles." Although it is not officially written anywhere as a policy, Alaska will transfer miles to a spouse or loved one for no fee with proof of a death certificate. For all the airlines, agents (with an implied wink and a nod) have pointed out that if the airline has not been notified that a member died and if a spouse or loved one has the username and password on the account, then that is another way they can use the frequent flyer miles. The actual wording of frequent flyer policies regarding the death of a member varies by airline but most have similarly worded policies. Mileage credit is not transferable and may not be combined among AAdvantage members, their estates, successors, or assigns. Accrued mileage credit and award tickets do not constitute property of the member. Neither accrued mileage, nor award tickets, nor status, nor upgrades are transferable by the member upon death, as part of a domestic relations matter, or otherwise by operation of law. However, American Airlines, in its sole discretion, may credit accrued mileage to persons specifically identified in court approved divorce decrees and wills upon receipt of documentation satisfactory to American Airlines and upon payment of any applicable fees. Mileage credit is transferable between AAdvantage accounts when offered by American Airlines online, with the ShareMiles program. The member must adhere to the rules and limitations of the ShareMiles program. Miles are not the property of any member. Except as specifically authorized in the membership guide and program rules or otherwise in writing by an officer of Delta, miles may not be sold, attached, seized, levied upon, pledged, or transferred under any circumstances, including, without limitation, by operation of law, upon death, or in connection with any domestic relations dispute and/or legal proceeding. Points are non-transferable and may not be combined among TrueBlue Members, their estates, successors and assigns except as follows: Points may be pooled using Family Pooling, points may be purchased and gifted at a cost and also can be transferred between TrueBlue members in specified quantities JetBlue's business partner points.com (​Buy, Gift or Transfer Points). Accrued points and award travel do not constitute property of the member and are non-transferable upon death, as part of a domestic relations matter, or otherwise. Points may not be transferred to a member's estate or as part of a settlement, inheritance, or will on Southwest Airlines. In the event of a member’s death, his/her account will become inactive after 24 months from the last earning date (unless the account is requested to be closed) and points will be unavailable for use. What Are the Benefits of Signing up for Delta SkyMiles?